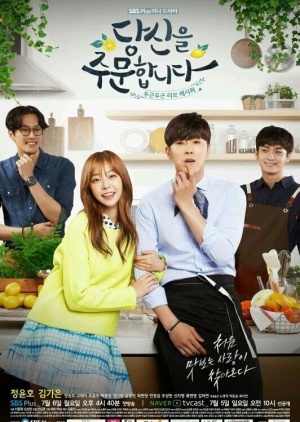 Yeo Gook Dae (U-Know Yunho) is a talented chef who is sassy and considerate but heartbroken in the past since his divorce. His heart later on gets healed when he falls in love again. 28-year-old Park Song Ah (Kim Ga Eun) is idling at home after quitting her job. She goes to a homemade dosirak (lunchbox) shop as her brother’s request and meets three attractive men there. The pretty and delicious food that they make touch her, and she gets her heart stolen by one of them. A cute funny story about a couple who bicker constantly but their relationship gradually blossoms into pure innocent love.